Keeping the northwest region embraced in preservation and technology for our built heritage. membership organization dedicated to promoting the best technology for conserving historic structures and their settings. 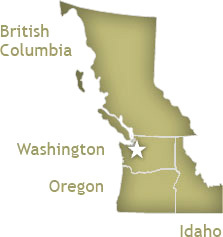 Established in 1999, the Northwest (NW) Chapter serves APT members in Oregon, Washington, and southwestern Canada. APTNW chapter members are especially interested in the distinctive technical aspects of historic preservation projects in the Northwest and in creating a regional network of preservation professionals.